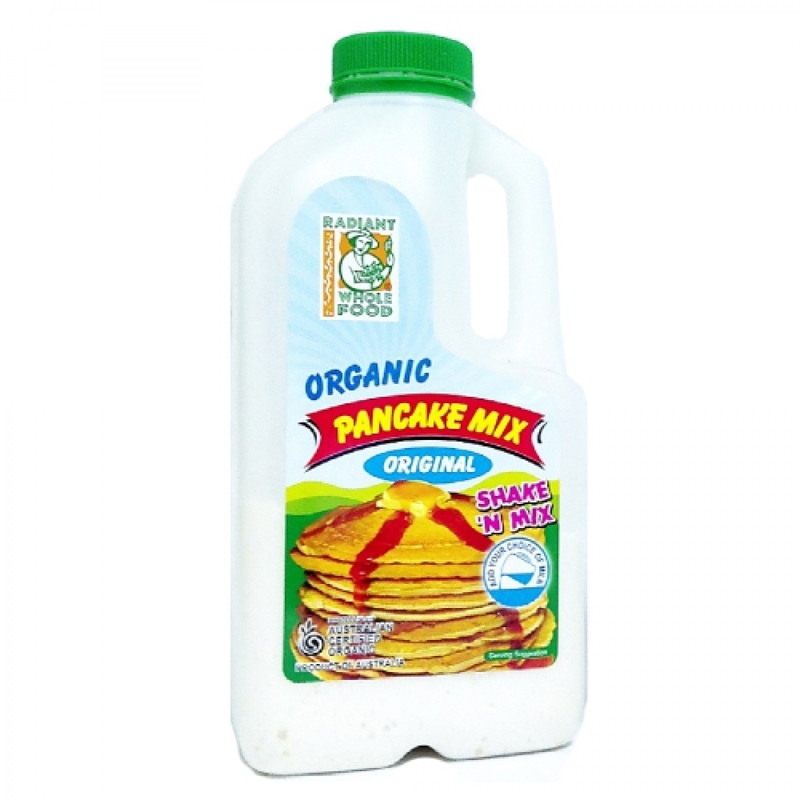 This hearty Radiant Organic Pan Cake Mix is made with the finest ingredients, including organic whole wheat flour and a touch of organic sugar for sweetness. This mix is full of wholesome goodness and irresistible flavour, making hot and fluffy, old-fashioned buckwheat pancakes with the distinctive flavour to start your day. Blend 1 cup mix, 1 Tbsp. oil and 1/2 cup cold water. Mix just until blended. Cook on preheated griddle at medium heat. Flip the pancakes when edges begin to brown and bubbles show in the center. Radiant Code is a reputable and well trusted organic food importer and distributor in Malaysia. They are the first importer and distributor of organic foods in Malaysia that receives organic certification since year 2000. They deal with reputable certified organic farms and manufacturers who are accredited to International Bodies like IFOAM (International Federation Of Organic Agriculture Movement). They are not only organic certified by BioGro New Zealand but also certified by SGS (Societe Generale de Surveillance, Switzerland) for HACCP (Hazard Critical Control Point Analysis) and GMP (Good Manufacturing Practice). They are also Halal certified by JAKIM. Radiant Code supplies a comprehensive range of organic products to complement a healthy lifestyle.